The names do make me giggle… We had a single Sunday off during our visit to Hanoi and we took the opportunity to leave the dirty capital and head to greener pastures, literally. Once out of the city the dust turned into rice paddies and we got a glimpse of the farming life that most Vietnamese lead. We travelled past the most beautiful farming land, water buffalo, old ladies in pointy hats until sharp limestone mountains appeared in the distance. Tam Coc is located on the Ngo Dong River around 3 hours from Hanoi. 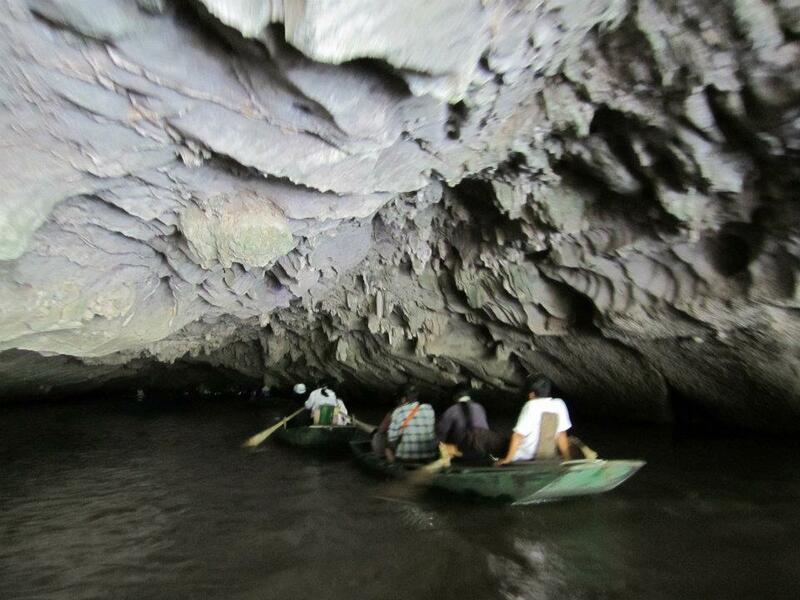 The name literally means “Three Caves” which refers to the three natural caves that the river flows through. We jumped onto a long boat which was rowed by a 60-something local man which made me feel as though we should have been rowing him. He took full advantage of his age too by making tired sounds and complaining how sore his arms were (to get extra tips). The locals that live in the area are famous for being able to row boats with their feet which I was rather impressed at as some could row, text and hold a sun umbrella all at the same time! We then headed up Bich Dong which is a pagoda on nearby Ngu Nhac Mountain dating to 1428 which has been carved into the mountain side. Travel – GOOD MORNING VIETNAM! !